I’ve been thinking this over. I may not be as well-placed to answer that question as I was when I taught at Wheaton College — Baylor is a much more religiously diverse institution — but then Wheaton was not exactly representative of the people who now call themselves evangelicals, so maybe I have a clearer view from Waco? Anyway, as far as I can tell, where young evangelicals are headed is simply out of evangelicalism. They have been, as Jared C. Wilson recently wrote, theologically and spiritually orphaned by pastors and other Christian leaders who were willing to entertain them and occasionally to hector them but who had no interest whatsoever in Christian discipleship. 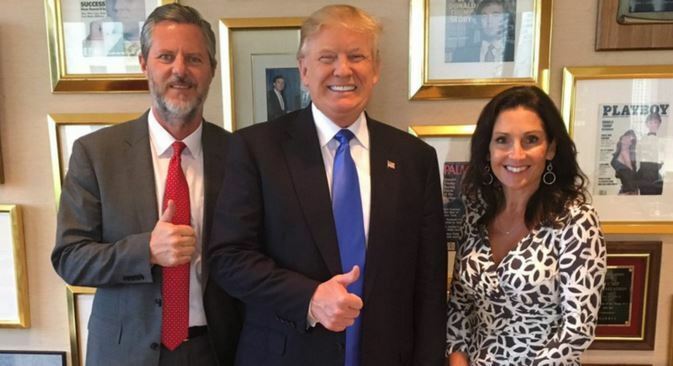 Millions of today’s young evangelicals have been utterly betrayed by a generation of pastors who could pontificate about how essential sexual purity is while simultaneously insisting that every real Christian should vote for Donald Trump, supporting their claims by a random handful of Bible verses wrenched from their context and utterly severed from the great arc of biblical story without which no piece of scriptural teaching can make sense. As I noted here, they cannot even distinguish a penitent from an impenitent sinner — that is how thoroughly they have emptied themselves of moral and spiritual understanding. And yes: betrayed is precisely the word. A great mass of many* evangelical leaders have betrayed their young followers and congregants — and, equally, betrayed the theological and spiritual inheritance they received from their mothers and fathers in the faith. They exchanged a rich and truly evangelical birthright for a cold pottage of vague moral uplift and cultural resentment. Verily, they have their reward. So if young evangelicals are leaving evangelicalism, where are they going? Not many, I think, will head for complete unbelief, but some will; a great many will drift further and further into moralistic therapeutic deism, which will offer them very little but, on the plus side, will ask even less from them; a smaller but still significant number will head for the older liturgical traditions, either for aesthetic or theological reasons. There will of course continue to be vibrant congregations that define themselves as evangelical, but fewer and fewer as the years go by, I think. Most churches that would claim the label have abandoned their historic mission, and the historic Christian faith, no matter what their explicit theological formularies might say. (This, for instance, is simple idolatry, served up straight, no chaser.) As my old friend and long-time colleague Mark Noll has long contended, evangelicalism at its heart a renewal movement within orthodox Christianity, and such renewal will continue — but not in the forms that some of us have grown accustomed to over the past half-century. Renewal will need to find new strategies, new institutions. Some corpses can’t be revived. *Edited to avoid association with the phrase “the great mass,” typically meaning “a substantial majority.” Thanks to Ted Olsen for the heads-up.